Philips Hue Dimmer Switch Review - Is it Worth It? Summary: The dimmer switch is a great way to control your lights without the need to get your phone out your pocket, or get up and get it from the room you left it in. 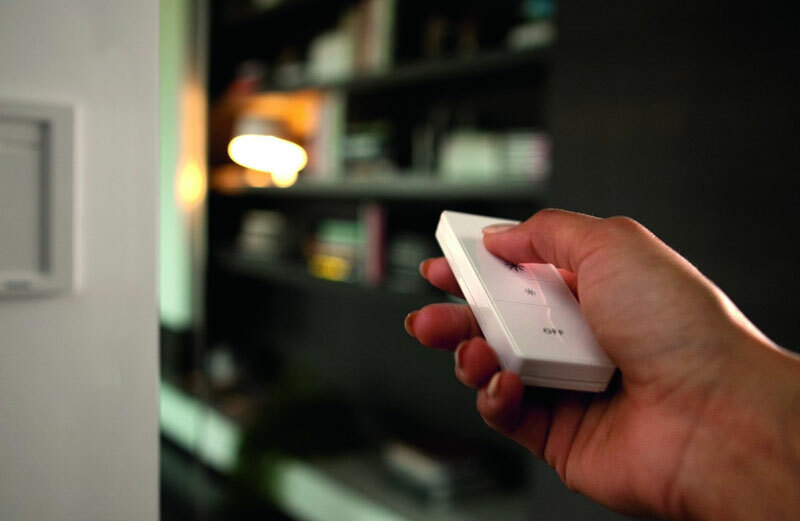 The Philips Hue Personal Lighting Dimmer Switch is a wireless, battery-powered device based on the Philips Hue system with the ability to control the dimness of a scene from very bright to a low dim. The dimmer offers simple, remote control of your hue lights through an intricate interface at a very reasonable price. 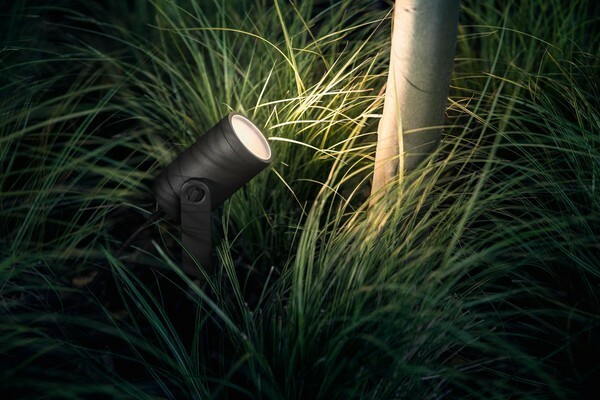 It comes with a dimmable bulb, and has two configuration options. 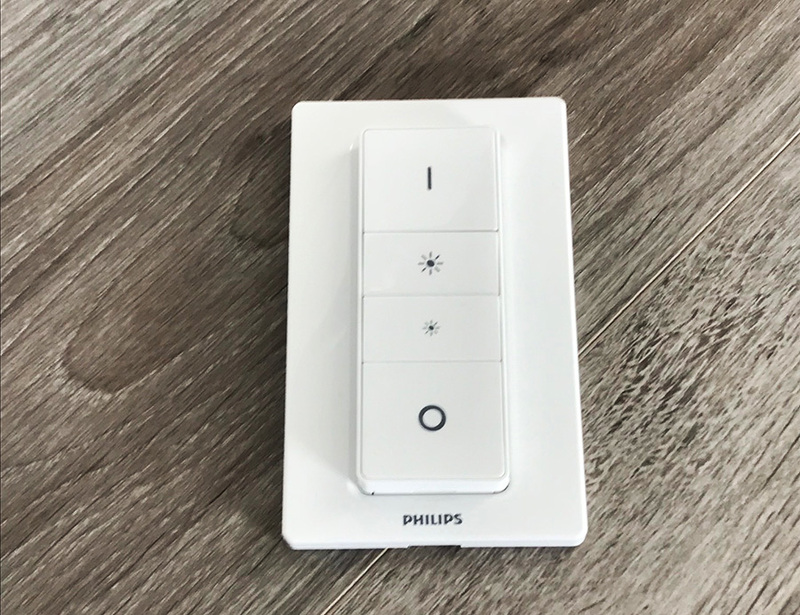 One of the benefits of the Hue lighting system over others on the market are the switches and sensors that can be used, and in this case we have the dimmer switch for Hue. The dimmer switch is a great way to control your lights without the need to get your phone out your pocket, or get up and get it from the room you left it in, it also gives you a light switch that you can use within the room other the main switch, which may have to be left on if you are using a Hue bulb with that. 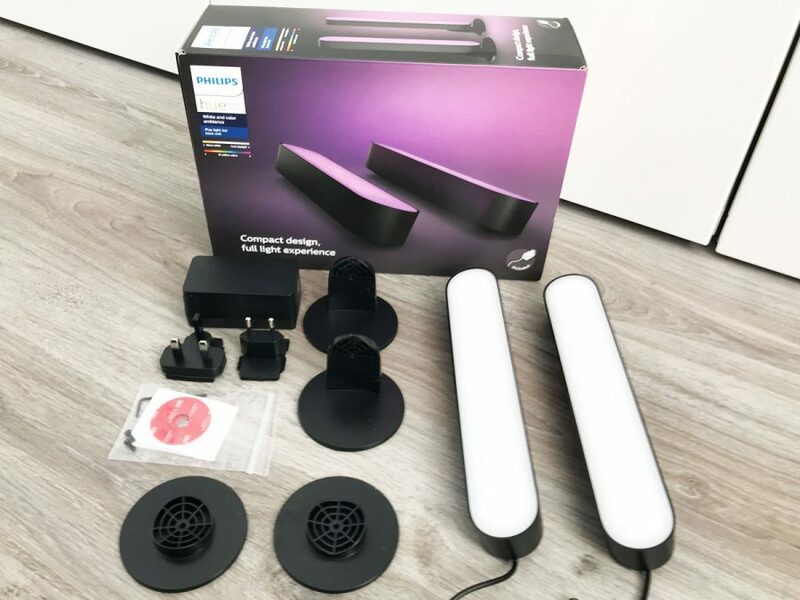 If you don’t have a bridge and are relatively new to Hue, you can pair the dimmer with up to ten bulbs directly, which will then be controlled simultaneously. If there is an existing Hue system, you can connect the switch to the bridge and set it to regulate any lights saved on the bridge (this does not restrict you to ten bulbs). The button response is decent and the switch has a nice feel on the hand. The dimmer switch is supported magnetically within the wall mount, making it easier to transfer to the sofa or anywhere else for use. It’s easier to clip it back into place as it has a slight hump at one end to avoid replacing it upside down on the wall. The 4 buttons are quite self-explanatory: (from the top) power on, increase dimness, reduce dimness, and power off. From the box setting up the dimmer switch is very easy. Pull out the plastic strip to power it up, the dimmer is powered by a thin CR2450 battery, this is included and fitted. Using the Hue app you can quickly add this accesssory and pair it to your bridge. On the Hue dimmer are 4 buttons, from top to bottom there is the on button, then a brighter button, dimmer button and off button. Within the Hue app you can make changes to the on button so that multiple pressing of it will cycle through up to 5 scenes that you can set. If you wish to make extra changes and then you can use third party apps such as iConnectHue to add more function to the other buttons. Once added you can set the dimmer to work with up to 10 bulbs, again this is very quick and simple to do within the Philips Hue app. This will work with white and coloured Hue bulbs making it ideal for all rooms. Connect the Philips dimmer switch with the hue bridge, and then configure it through the app. Now, set your favorite hue light scene without using the smart device – turn the lights on/off, or slowly dim to your favorite brightness. 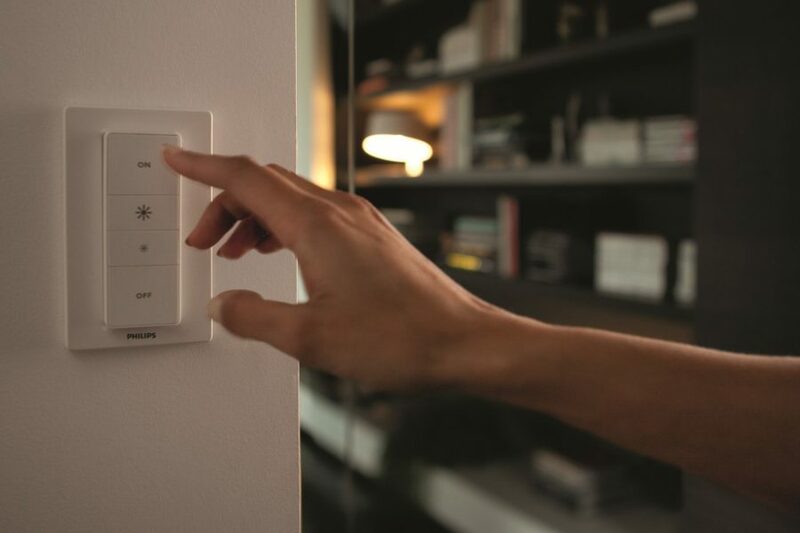 Placing the switch – The Philips hue dimmer can be used as a typical wall switch. Simply place it at your most convenient spot, holding it into place using screws or an adhesive tape around the back plate of the dimmer. Installation does not require any wires. Remote control – The magnetic properties of the switch dictate that it is not necessary to keep it attached to the back plate all the time. You can remove the dimmer and use it to remote control your lights, with the indoor range reaching up to twelve meters. 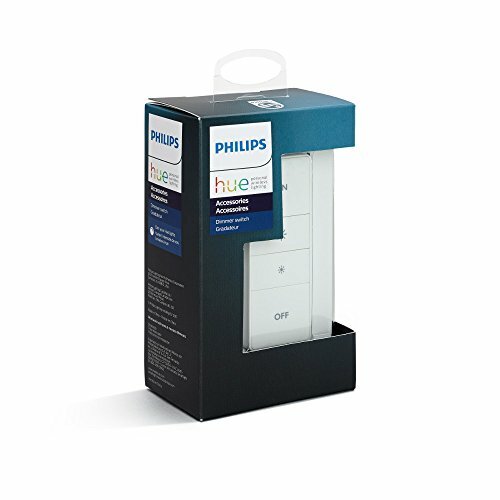 Battery powered – The Philips dimmer switch runs on battery, so the process of setting it up is quick and simple. This video below shows you how to set it up, it really is very simple and quick to do. The dimmer itself comes in a magnetic base station, basically a wall plate you can mount and then the dimmer remote attaches into and hold using magnets. With the size of the base plate for the dimmer it is easy to wall mount, and with a little care or use of a professional electrician you could have the main light switch wired to be on and then fix this base plate over where your old light switch was. This is a great way to prevent people from accidentally using the light switch when entering the room, and instead use the dimmer switch. 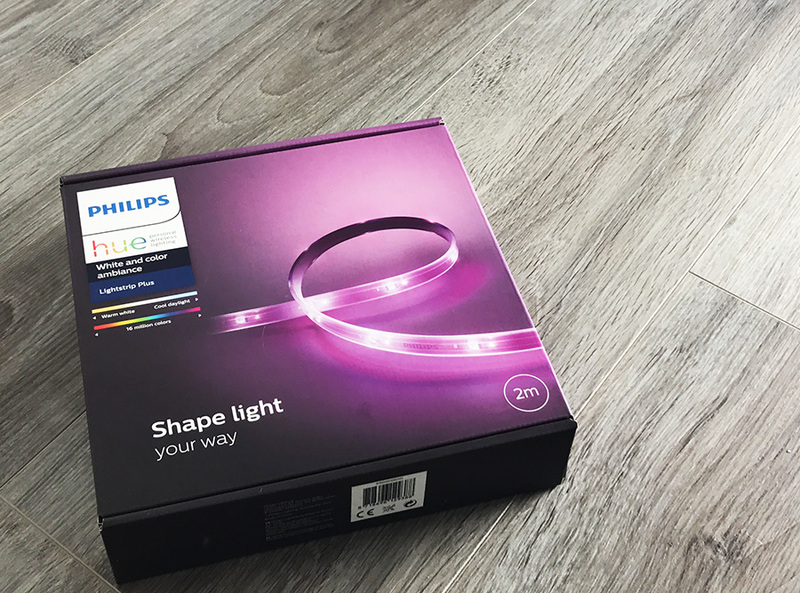 You can purchase a separate Philips Hue Bridge or use any available starter kits to connect your hue products. Using the instinctive Philips Hue app, you can now control the lights at the touch of a finger. 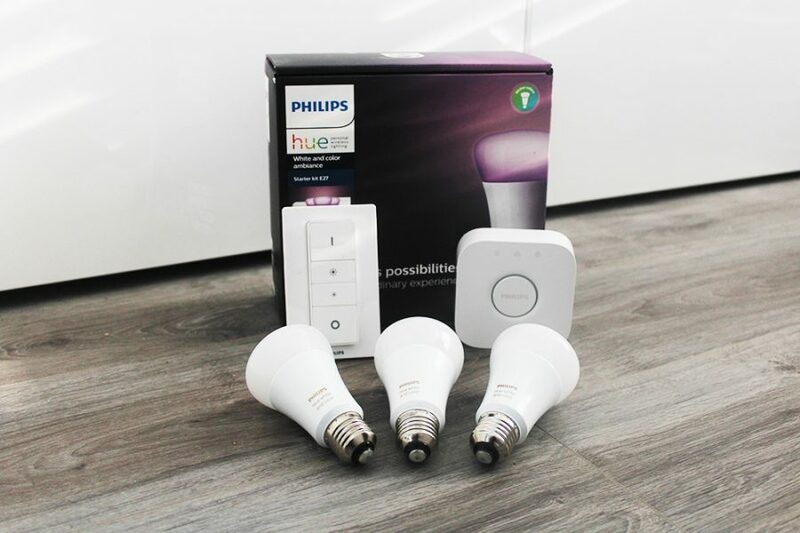 Philips Hue uses ZigBee technology – a safe, low-power and fairly reliable system – to control your hue lights. The system is continuously upgraded in the form of new features and improvements, with firmware and software updates being made wirelessly to your Hue products. You can purchase the Hue dimmer on its own, with a bulb or with a starter kit where it comes with more bulbs and the bridge to get you going. It is important to remember you need a Hue bridge to use this dimmer switch. This is ideal for a room where you may wish to set the scene and then easily adjust the brightness, perfect for living rooms and dining rooms. With the on button you can cycle through different preset scenes making it easy to change the mood and color scheme, and then using the brightness buttons to adjust to suit. As the remote can be removed from the wall plate it makes it easy to keep on the wall as the new light switch or take it out to control while relaxing on the couch. Using third party apps such as iConnectHue you can add more functions to the other buttons on the dimmer, such as the brightness and dimer buttons giving them more use than they have as default via the Philips Hue official app. 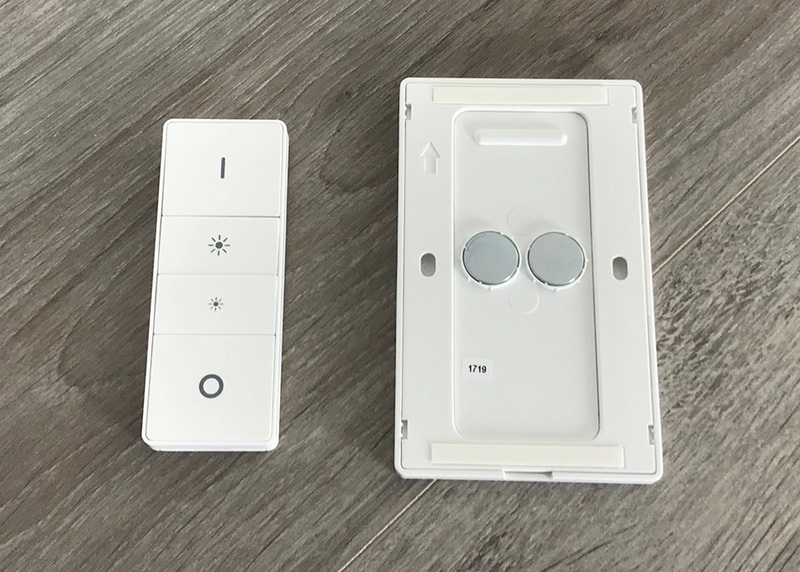 The dimmer switch is well designed, feels well made and works well, you can attach it to the wall or just use it as a remote control just like you would with the TV. Setting up is a breeze and with the built in battery the remote is responsive and pleasant to use. By using third party apps you can make the dimmer switch even more powerful and useful by adding extra function to all the buttons on it. Compared to the Hue tap the dimmer is a great device that is cheaper, more responsive and still has the functionally you may need. If you need a switch then the dimmer is our choice.